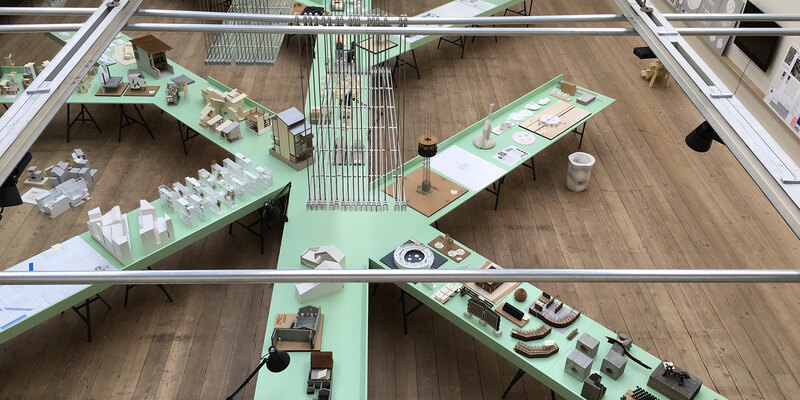 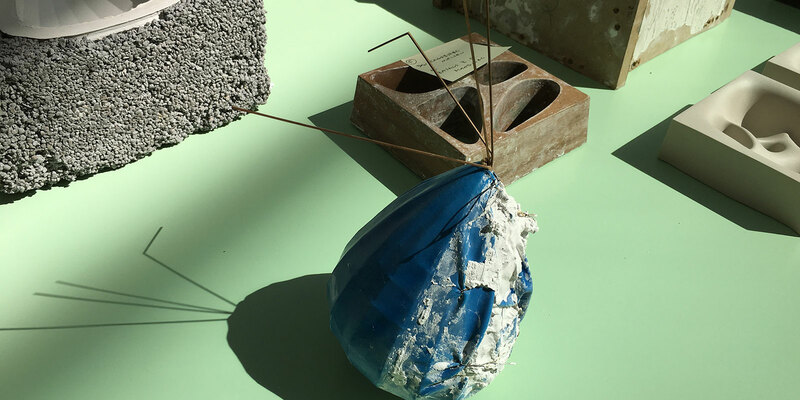 The exhibition presents 30 bright green worktables with models, drawings, and sketches from second and third-year students. 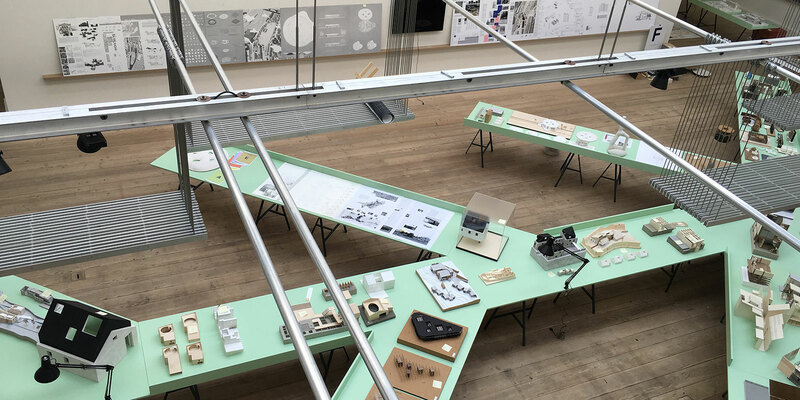 The worktables are arranged in changing directions, just like the students tone and develop their skills, get inspiration and seek new ways during their studies. 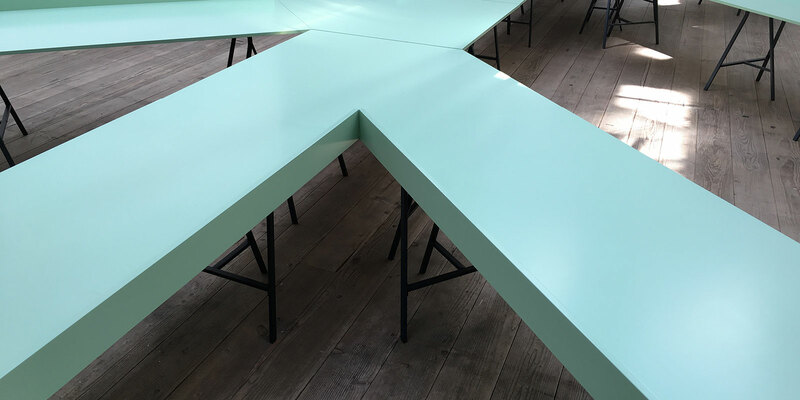 The worktables create the atmosphere of a real drawing office, and the light green colours of the tables symbolise the spring season; a season students miss out on every year because of the hectic exam period. 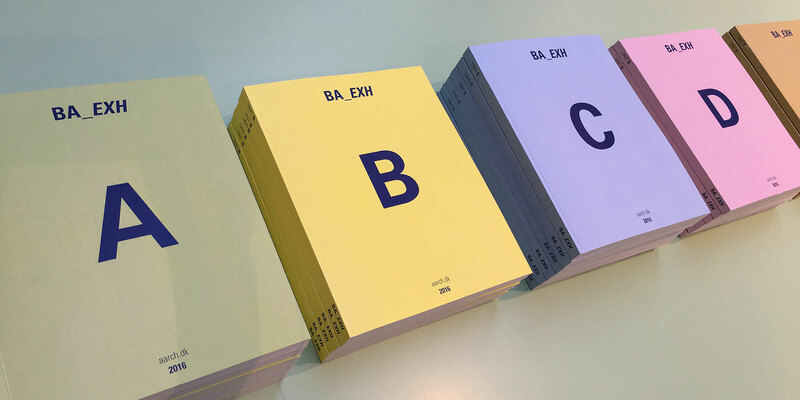 The exhibition also presents six custom-made books containing critical writings by the bachelor students – one book for each of the school’s bachelor units. 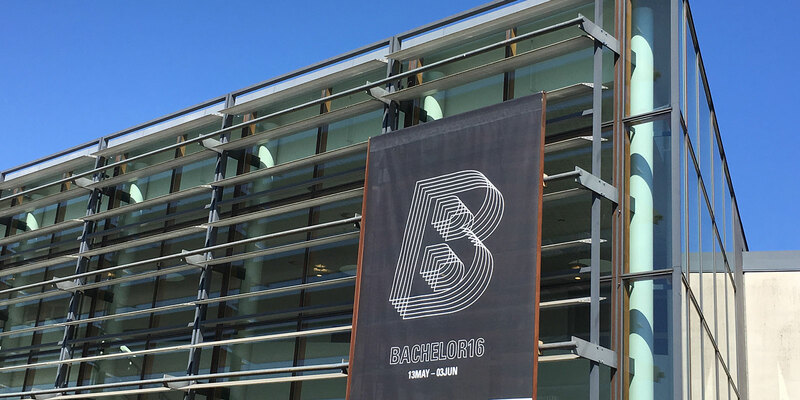 Also on display is a special time-lapse video of a hectic day and night at a bachelor studio where students struggled to meet their project deadline.